Due to its superior coating properties, the range of parylene applications has expanded from extreme-service printed circuit boards to a wide array of industrial, medical, and electronic uses. The parylene process offers the advantage of coatings that are formed from a gaseous phase with an intermediate liquid stage. This unique coating process results in conformal coatings that cover sharp edges, points, crevices, and exposed internal surfaces very uniformly and with an absence of pinholes. Parylene coatings are becoming more popular and getting the correct parylene thickness is important. Too little parylene can mean incomplete coverage, pinholes, and reduced wear ratings. Too much parylene can reduce device performance and is a waste of precursor material. In addition, proper thickness measurement helps you maximize the benefits of parylene coatings, including their high reliability, light weight, stress-free impact, transparency, and bio-compatibility. Filmetrics has over ten years of experience in measuring parylene thickness. 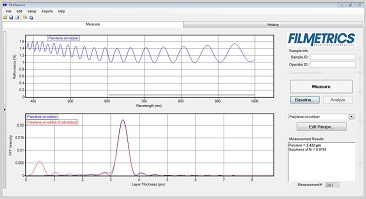 Our most popular solution is the Filmetrics F3-CS instrument, which was designed specifically for measuring parylene thickness on flat surfaces. Product options are available for parylene thickness measurement on curved surfaces and for extending beyond the standard thickness range of 0.25-75 microns. 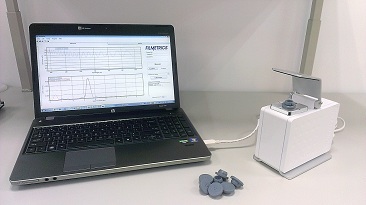 Filmetrics offers free trial measurements of parylene coating samples, with results typically available in 1-2 days. Contact our thin-film experts to discuss your parylene measurement requirements. 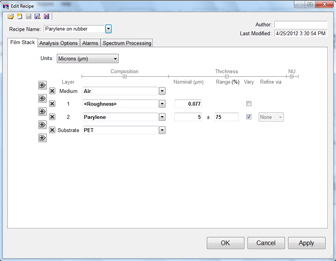 Reflectance data was collected using our F3-CS system for parylene thickness measurement. This instrument uses a contact stage which keeps same working distance of the measurement sample. The measurement sample is placed on the contact stage. 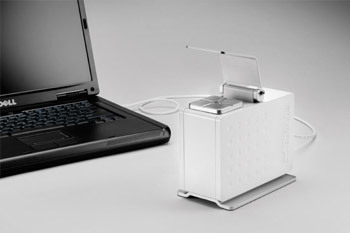 The spectral data is collected and then automatically analyzed by FILMeasure to determine the coating thickness. 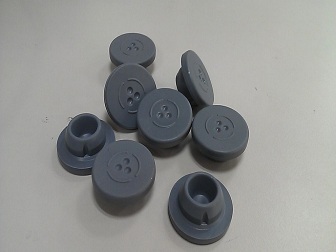 The coating thickness on this rubber cap was measured as 3.422µm.